The 2019 Acura MDX is available with five different trim levels, labeled packages; Standard, Technology, Advance, Entertainment and the new A-Spec. A 3.5L V6 engine, making 290 horsepower and 267 pound-feet of torque, powers all trims of the MDX with exception of the Sport Hybrid. The power is sent to the wheels through a 9-speed automatic transmission with economical or sport shifting modes. The Sport Hybrid model is powered by a fuel-efficient 3.0L V6, which combined with the electric motor, creates 321 horsepower. The Sport Hybrid is paired to a 7-speed dual-clutch auto-shift transmission. Power is sent to the wheels via Acura's Super Handling All-Wheel Drive system (SH-AWD). Front-wheel drive is also available. No MDX is lightly equipped. The Standard trim features 18-inch wheels, automatic LED headlights, speed-sensitive windshield wipers, multi-view rear camera, power liftgate, power leather seating with heated front seats, tri-zone climate control, keyless entry, keyless ignition and a sunroof. The MDX Standard technology features include dual touchscreen displays, Bluetooth hands-free connectivity, Apple CarPlay, Android Auto and an 8-speaker audio system. MDX models equipped with the Technology Package add 20-inch alloy wheels, rain-sensing windshield wipers, power folding side mirrors, remote engine start, navigation, blind spot information and a 10-speaker premium audio system with hard drive media storage. The interior also features natural wood accents and a GPS-linked climate control. The Entertainment Package, when combined with the Technology package, adds heated second-row seating, DVD rear seat entertainment with a 9-inch screen, a 110V outlet and an 11-speaker upgraded premium audio system. Choosing a MDX with the Advance and Entertainment Packages adds perforated Milano premium leather seating, heated and ventilated front seats, heated steering wheel, LED fog lights, auto-dimming side mirrors, front and rear parking sensors, a 12-speaker audio system and a 16.2-inch rear seat DVD entertainment system. New for 2019 is the A-Spec package, with eye-catching designs and impressive styling. The A-spec brings a whole new look to the MDX with a blacked-out exterior styling and sporty interior. The A-Spec features exclusive designed front and rear bumpers, 20-inch gray wheels, dual exhaust outlets and a host of blacked-out and dark chrome exterior styling touches. Inside the A-Spec, features include heated and ventilated sport front seats, leather wrapped steering wheel, trimmed interior with contrast stitching and piping, metal trim and red instrument panel illumination. 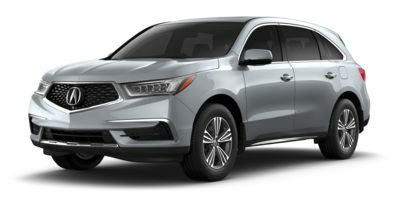 All MDX models come standard with AcuraWatch Plus, a suite of active safety features that includes collision mitigation braking, road departure mitigation, lane keeping assist, adaptive cruise control, forward collision warning and lane departure warning. Collision mitigation braking helps prepare the MDX and its occupants for a frontal impact by automatically tensioning the seatbelts and applying the brakes as needed. The 2019 Acura MDX receives minor changes from the already exceptional prior year's model. Most notably, the MDX is now offered in a new A-Spec appearance package, which provides a much sportier look both inside and outside of the vehicle. Acura has also refined the transmission to provide a smoother start from a complete stop. Additional features that are now standard on all trims are the engine start/stop and the AcuraWatch safety suite. Now in its third generation, the Acura MDX retains all the great attributes that have made it such a winner in the showroom. Adding the A-Spec package for 2019 has brought the appearance to a new level with sportier styling both inside and out. For those who don't need Acura's excellent Super Handling All-Wheel Drive (SH-AWD) system, front-wheel drive availability makes the MDX a bit easier on the wallet. The MDX is a strong contender when compared with the Volvo XC90 and Infinity QX60, especially when loaded with plenty of excellent, useful technology features, which enhance performance, comfort and safety in the MDX. Sorry there are no rebates or incentives currently available.